Sibylle Delacroix graduated from the ERG (Ecole de recherche graphique) in Brussels and worked by day as a graphic designer in several agencies while illustrating at night. She lives in the Midi-Pyrenees in France, where she now tries to draw in the day and sleep at night! she’ll go back to grumbling. 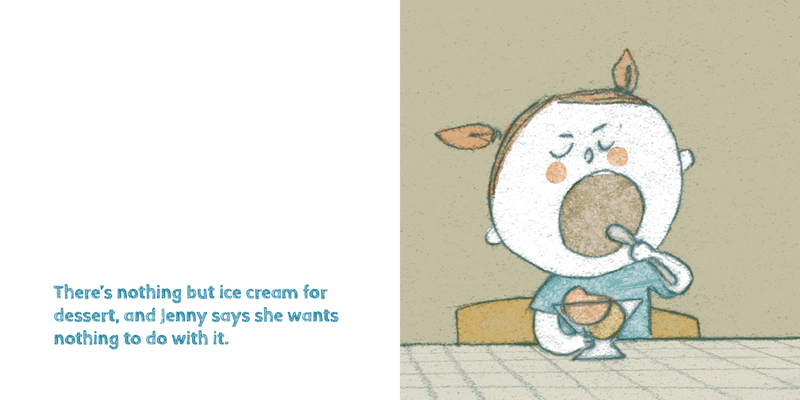 Jenny wants things her way, but she’s not always sure what her way is. It might seem like she’s being difficult, but she can’t help it — it’s just how she feels. 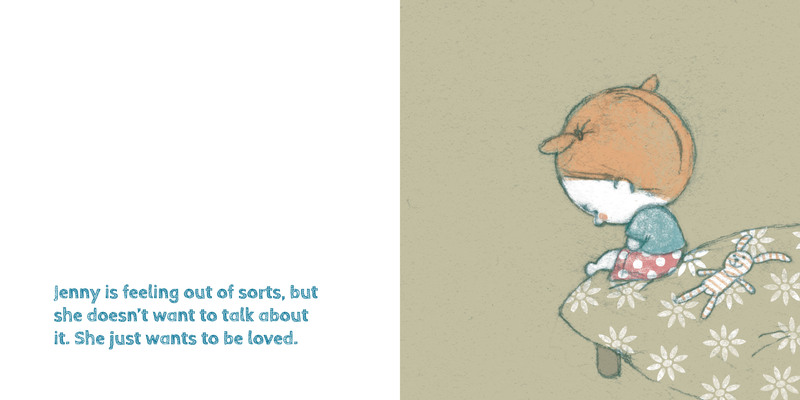 This delightful small-format picture book is a portrait of a character who, despite her grumbling and frustrations, just wants to be loved. Against simple backgrounds and understated digital and chalk pastel illustrations, Jenny’s boldly expressive face is the focal point. The book conveys a quiet balance of humor and strife, perfectly portraying a prickly kid who feels anxious, stubborn and unheard … even though she’s not exactly sure what she has to say.